Desc: Black Hills Gold Sterling Silver cat and bow necklace. The Sterling Silver snake chain has a lobster claw clasp. The cat is laying down and forms the shape of a heart. There is a bow around the neck of the cat and is Rose Gold. 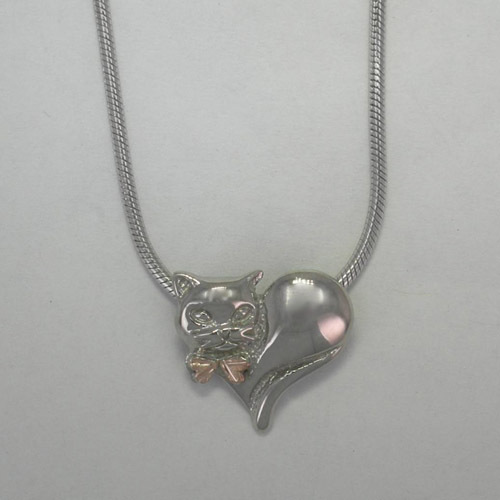 The cat pendant is a slide on the chain. The necklace has a bright polish finish and is made in the United States of America.